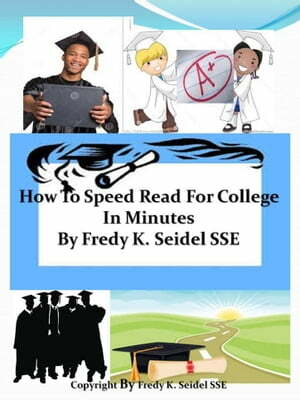 Collins Booksellers - How To Speed Read For College In Minutes by Fredy Seidel, 9781310293788. Buy this book online. If you are reading this description then you obviously know how to read. But there are different levels of reading and in college students are inundated with a lot of reading which they are supposed to digest in a very short time and they are also expected to remember what they have read. There are different forms of reading material which the college student will have to deal with. Knowing the different patterns of the written material and knowing how to cope with those different styles, will give the student an advantage which few other students will have. This advantage might also lead to better grades and better scores on tests and exams. No college student should be without this guide. Business managers, executives, as well as other professionals can hugely benefit from this e-book. Actually, everybody who wants to excell in their particular venue can benefit from this book!! !